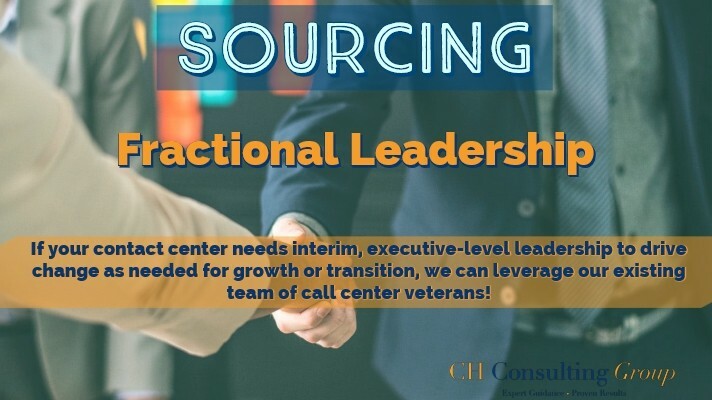 Both large and small companies hire CH Consulting Group to provide executive-level leadership for a variety of reasons: whether to fill a position on an interim basis during the search for a permanent leader, or to provide services on a part-time basis without having to hire a full-time position. Change management and supervision as needed — we can step in and fill gaps or extend bench strength. Additional guidance or manpower to address any needs related to staff training/development; new technology roll-outs or other events related to the roadmap. Filling Interim needs or vacancies as needed for growth or transition. Project planning, growth strategy, project implementation and/or project management assistance. If you are in need of temporary or part-time executive-level leadership to help drive change and growth in your organization, please fill out a form today for a free proposal. We will reach out to you shortly to learn more about your business and see how we can support your vision.